Named for the Alapaha (a-LAP-uh-ha) River in southern Georgia, the Alapaha blueberry is a vigorous, upright plant with quite narrow crowns. Its characteristics include late flowering (7 to 10 days after the older variety Climax) with early ripening that produces consistently high yields of excellent quality fruit. The variety flowers relatively late (7 to 10 days after the older variety Climax), which helps avoidance of spring freeze damage. Berries are medium size and have excellent firmness, color and flavor. Their small dry scars contribute to good shelf life. Alapaha fruit ripens quickly, beginning about the same time as the Climax cultivar. Alapaha is recommended as an early ripening cultivar to replace Climax wherever rabbiteye blueberries are grown successfully. A four-year study in Georgia and Arkansas showed that Alapaha productivity substantially exceeded that of Climax every year. 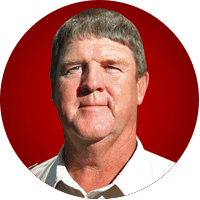 The variety is suitable for mechanical harvesting and has demonstrated improved resistance to rain cracking. 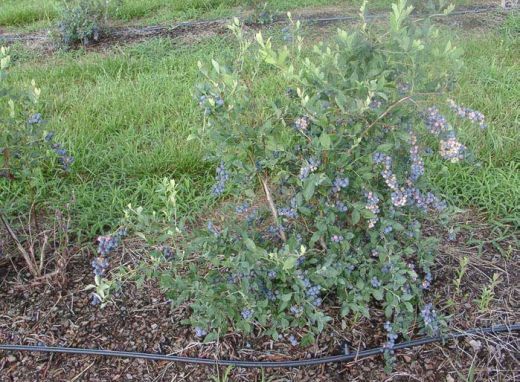 Alapaha is recommended for areas where rabbiteye blueberries are grown successfully as an early ripening variety to replace Climax. Alapaha has shown some self-pollination, but it should be planted with other rabbiteye blueberries with a similar time of bloom for cross pollination. Recommended companion variety is Vernon. Developed by D. Scott NeSmith of the University of Georgia, Alapaha is a joint release by the University of Georgia College of Agricultural and Environmental Sciences and the U.S. Department of Agriculture/Agricultural Research Service. 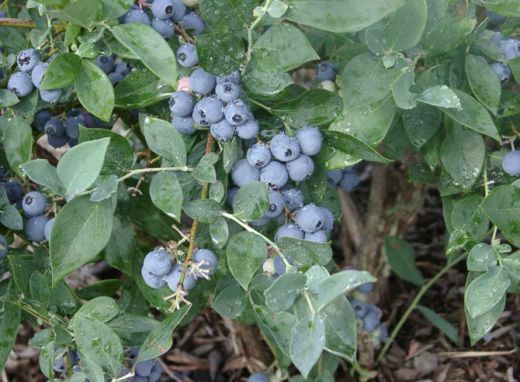 This protected blueberry variety can be sold only by individuals licensed by the University of Georgia Research Foundation (UGARF) and Georgia Seed Development (GSD). USPP 16,266.